This booklet works within the parameters of the exam itself. We highlight where students lose marks, using recommendations made by the Chief Examiner. Our focus is based on a very simple premise: use what you know to your best advantage. All of the questions are given in both French and English with a specific grid using easy-to-understand phonetics. We have also gone through the common errors made in this part of the exam, with the correct pronunciation given. A lot of students learn off stock phrases and words. At French Notes if we feel that something can be said using a different word which is less common, the student will be given the choice of using that word. Your vocabulary should be as rich and varied as possible. Using idiomatic phrases is advised, but you should not rely on unconnected words, if you lose the sense of what the message that you are trying to convey is. Structure is the way you put your sentences together. 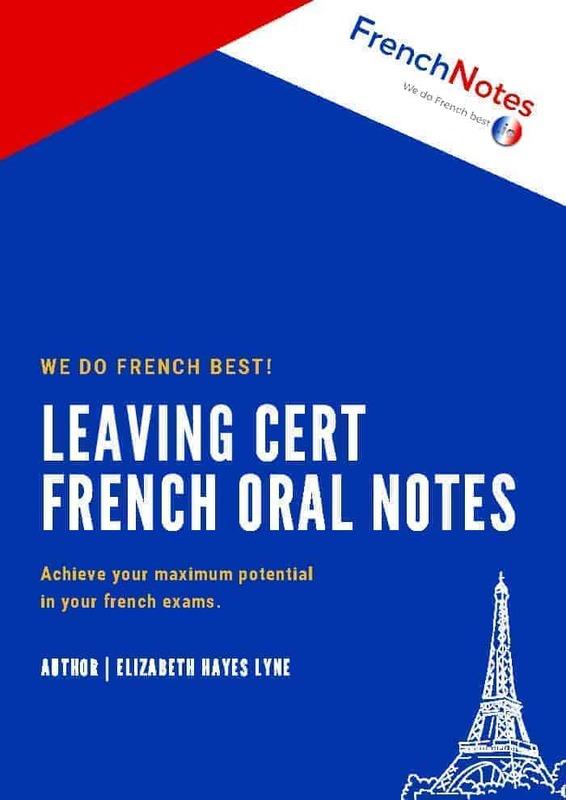 The oral exam is a wonderful opportunity to WOW the examiner with interesting turns of phrase and off the beaten track grammar. Communication is a student’s ability to maintain a conversation in a natural flowing & comprehensible manner. Here you must engage with the examiner in as natural a way as possible. They are there with the sole purpose of conversing with you, giving you the opportunity to shine. The booklet goes through one of the Chief Examiner’s Reports and explains how marks are awarded or lost. The booklet is available in .pdf format only, and is a downloadable document of over 60 pages. This booklet and its content is protected by copyright law and cannot be used in a commercial setting.